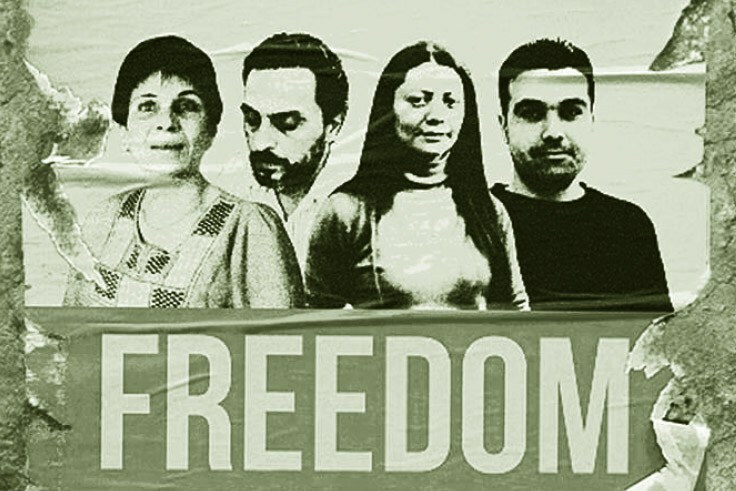 It is now almost a year in darkness for the Douma four kidnapped activists. Almost a year ago activist and ex-political prisoner Samira al-Khalil, Lawyer and human rights defender Razan Zaitouneh, her husband, Engineer and activist Wael Hamadeh, and Lawyer and Poet Nazem Al Hamadi, went missing in Douma. Although it’s common knowledge that the four activists are veteran opponents to the Assad regime who without doubt is the Godfather of criminals in the country, however, in this case Assad was surprisingly not the perpetrator, it was an assumed “ally”. Despite the contradiction in categorizing this criminal as an ally, it’s the undeniable way of describing the case of the four kidnapped activists who had sought sanctuary in the “liberated” Ghouta after they all became wanted by the regime’s security apparatus due to their activism in support of the revolution and revolutionaries. The fate of the four activists and the identity of their kidnapper are yet to be determined. It is undoubtedly a complicated case, particularly because the perpetrator had the opportunity to contemplate the crime and cover up the evidence. Nevertheless, those who are working on uncovering the circumstances and facts of the kidnapping incident have revealed key evidence, three of which are explained in this article. The kidnapping incident which took place on the night of Tuesday the 9th of December 2013 was only discovered the following morning. On the 15th of December, representatives of the main insurgent groups in Eastern Ghouta met at the headquarters of the Mujahideen Council and issued a statement under oath, denying any involvement in three incidents and stating that they are “unaware of any of them and willing to cooperate and fully support the inquiry”1. The three incidents being: The kidnapping of Dr. Ahmad Buqaie by persons unknown, the abduction of the four activists, Razan Zaitouneh and her colleagues (as worded in the statement), and the murder of Abou Abdel Rahman al-Khateeb, a member of ISIS, also by persons unknown. Despite the claim made in the first article of the statement, a month after the statement was issued Dr. Buqaie was released from a prison controlled by al-Nusra Front [Jabhat al-Nusra] who was one of the signatories to the statement. It also came to light that a large part of Dr. Buqaie’s interrogation during his detention revolved around Razan, her husband, his relation with them, and whether he had cooperated with them in any way. The question now is: Was the statement of innocence by the signatories a perjury? Baring in mind that the handwritten statement was concluded with the following phrase: “This document stands as testament against all its signatories and the falsehood of any claims shall hold the signatories accountable. The inquiry shall continue even amongst the signatory groups, as God is the best of witnesses”. Perhaps there are religious excuses or fatwas that allow false statements to be made under oath due to one’s own definition of ‘necessity’. However, have those falsehoods been followed up by, or explained to, the assembly of signatories? Doesn’t circumventing one of the statement’s articles suggest that this could have also been the case for the rest? A woman who still resides in an area in Eastern Ghouta has stated that she coincidentally saw Razan inside a prison controlled by an insurgent group that she identified, she also identified and located the prison in which she was held on criminal charges. Credible or not, this woman’s statement should have been investigated. Has such an investigation ever taken place? Answering the same question, a friend of the abductees that had cooperated with Mr. al-Haj Saleh to acquire this information said: “Immediately after we learned of the abduction, we closed the Facebook, Skype and email accounts of the kidnapped activists. These are routine measures that are taken when an activist is arrested by the regime, to prevent their account being forcefully opened and information obtained leading to further harm to them and others. However, three days after the kidnapping we noticed Razan’s Skype account was accessed [online], and the same happened to Wael’s account a little later. Moreover, the Viber accounts of both Razan and Wael showed that they were accessed four days after their abduction. We informed some technicians about this, who then checked with Microsoft, owner of Skype, and confirmed the incidents and reset the security measures for the abductees accounts”. Before taking this information to IT security expert, Mr. Basel Matar, we tried to access the raw information directly from its source. One company that owns Internet servers stated that an activity has been detected from the Skype accounts of Razan and Wael via a specific IP address. By tracing that IP address it turned out that Facebook accounts belonging to members of Islam Army had been created through it. Some of those members are well known and present in Eastern Ghouta. Also, Razan and Wael’s Viber accounts have been logged into from this same IP address. The accuracy of information obtained via such process was later confirmed by Mr. Matar. From there we went to Dr. Kussay Moselmani, lawyer and teacher of International Law and the head of the Syrian European Center for Human Rights, and asked: What is the legal and judicial stance regarding what is referred to as “Geospatial Information and Technology”? Dr. Kussay answered: “Regarding the admissibility of digital and geospatial evidence: International and Arab legislations on criminal trials and penal codes have agreed to a core principle which is the freedom of proof in penal matters; this principle, explained briefly, means that “Evidence in crimes, felonies and violations are established by all forms of proof”, from witness testimonies to confessions, expertise, observations and evidence. Thus rendering digital and geospatial evidence admissible in principle to prove guilt or innocence, just as is the case with all traditional and conventional means of evidence. As for validity: digital and geospatial evidence derived from their sources in accordance with the basis of information and digital technology science, presented by a legal expert officially designated by the judge are valid proof to which the latter can resort to base his convictions and rulings for verdicts of innocence or guilt. Within this framework, international criminal litigation institutions routinely admit such evidence to prove war crimes and crimes against humanity. This was done in 2006, when the International Criminal Court charged the President of Sudan Omar al-Bashir with war crimes and crimes against humanity, in addition to charges of forced displacement. The submitted evidence included satellite images determining the location of some villages in Darfur that were destroyed and burnt down. Based on that, if the technical expertise enforced by the court proved that those who have accessed the accounts of Razan and Wael are members of the “Islam Army”, it would be considered as evidence of the identity of the perpetrators and their affiliation, which will bring to light the responsibility of the leaders of the insurgent group to which those members belong. The High Contracting Parties and the Parties to the conflict shall repress grave breaches, and take measures necessary to suppress all other breaches, of the Conventions or of this Protocol which result from a failure to act when under a duty to do so. 1- The existence of a leader-subordinate relationship: That the practice of leadership or control is determined and confirmed. 2- That the higher ranking officer or leader had knowledge, or could have had knowledge, that one or more of his subordinates have committed criminal acts or attempted to do so. 3- That the higher ranking officer abates to deploy necessary and reasonable measures to prevent the commitment of the incriminating aforementioned acts. Of course when he says “the huge damage that we shall cause you”, Yassin al-Haj Saleh does not mean that we will form an armed militia to launch a counter war on the kidnapping militias, nor will we gather a gang of thugs to abduct family members and friends of those involved in this crime and cause them the same agony they have caused us. Rather, out of loyalty to the noble abductees themselves, and that of everyone who has fought for justice and truth, we shall work only through legal and ethical methods. Activist, journalist, Assistant Editor-in-Chief of Freedomraise and Director of its main office in Douma / Eastern Ghouta, holding a degree in Arts, English Language Department, Damascus University. 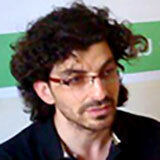 He is also director of the office of the Syrian Non-violence Movement in Damascus Suburbs. Rising For Freedom (RFM) a Syrian semi monthly, independent, political, cultural, social, and economic magazine. Copyright © 2016 The Magazine FREEDOM RAISE. Developer by WAEL MOUSSA.